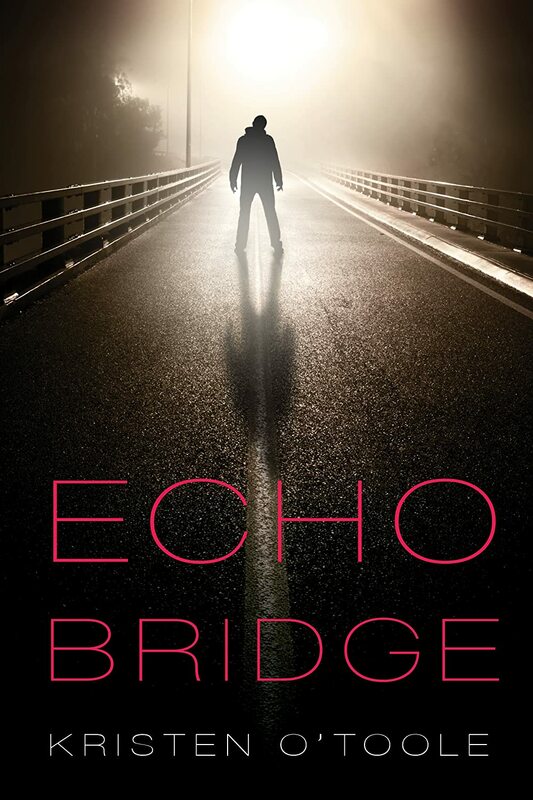 Today, we’re here to chat with Kristen O’Toole, author of the just-released YA novel Echo Bridge, from new publishing imprint Full Fathom Five Digital. In Echo Bridge, high school theater star Courtney Valance’s picturesque life is envied by all her peers–until one night she turns up missing, her clothes washed up on the river bank. All of us at Lucinda Literary loved this book so much–it’s not everyday we read YA novels delivered in such a deeply thoughtful and mature tone–that we had to invite Kristen to tell us how it all came about. We found the characters and themes explored in Echo Bridge to be, um, very mature–not for the soft of stomach. Is the sort of subject matter you deal with in your novel typical of the genre, or were you striving for something more darkly realistic? Oh, boy–I think the moment someone tries to define a genre, an exception to that definition is born! YA contains multitudes. I kept my own teenage taste in mind while I was writing Echo Bridge, and I had a pretty dark turn of mind back then (I have lightened up a lot with age). I was a little unsure about the tone at first, until I remembered one of the first YA books I ever read: Die Softly by Christopher Pike. I got it as a present for my 11th birthday. Even within Pike’s oeuvre, it’s a doozy. Echo Bridge itself is so eloquently described, it really brings that setting to life. Is there a real-life ‘Echo Bridge’ or other landmark where you hung out as a teen? There is a real Echo Bridge! It’s in Newton, MA, and is on the National Register of Historic Places. My parents took me there a few times as a kid, and later I heard from friends who lived nearby that it was an after-dark meeting place. I grew up in a different town and my teen-dirtbag hangouts were closer to home. We had our own secret spot on the Charles River near my high school, though it wasn’t as picturesque as Echo Bridge. What is high school popularity all about anyway? Why, at that period in our lives, is the need to be popular so all-encompassing? What ‘kid’ were you in high school? Did you know The Washington Post has its own eBook series published by Diversion Books? I didn’t, until this superbly succinct page-turner came my way. At just over 100 pages, Steven Levingston, the Post’s nonfiction editor, describes in equally devastating and uplifting detail, a moment in the life of JFK that forever changed him. Of course, the book is for you to read, but in the meantime, let’s just relish this gorgeous cover. It really says it all, doesn’t it? A sensitive portrait of how a profound tragedy changed one of America’s most prominent families. On August 7, 1963, heavily pregnant Jackie Kennedy collapsed, marking the beginning of a harrowing day and a half. The doctors and family went into full emergency mode, including a helicopter ride to a hospital, a scramble by the President to join her from the White House, and a C-section to deliver a baby boy, Patrick Bouvier Kennedy, five and a half weeks early with a severe respiratory ailment. The baby was so frail he was immediately baptized.